Support services are offered to supplement Community Living services and achieve greater independence over time. These services are based on the needs of each person, and what works well for them. Learning to “fit in” to society can be very difficult for people with certain types of disabilities, such as Autism. Having a conversation with someone, maintaining eye contact, or trying new foods can be a scary experience. In these instances we offer emotional and social supports to teach skills needed to learn social and professional expectations. Part of achieving your independence is being able to understand what you need to do to maintain your health. We have 4 on staff nurses who provide Health and Wellness education and help customers plan for and manage their own health care needs. Being in good health is a fundamental part of establishing your independence. We are very focused on practicing wellness and provide our customers with knowledge and the opportunity to make healthy lifestyle choices. Health Care Coordination offers guidance to both the individual and their support team on how to manage their health care needs, practice healthy eating, and maintain regular exercise. Nite Owl is LIFEDesigns‘ assistive technology service. This service is a form of video monitoring service that connects a customer directly to on call staff without having to have staff in their home. This service allows people to live more independently, and develop increased self confidence. The person would not need a staff person in their home as often, and yet would be only the push of a button away from support if needed. 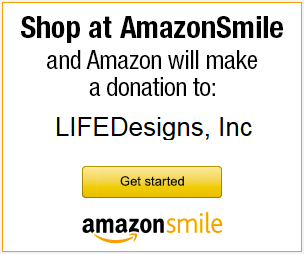 What’s really unique about this to LIFEDesigns, is that the people who use this service are connected to our support team. The person they call for help is not a stranger, it’s someone they know, who they have worked with before, and who knows their individual history and support needs. This has been very effective in establishing increased independence for those who use it.